Client: Energy Efficiency in the Construction in the Mediterranean (MED-ENEC), European Commission Funds, managed by GIZ. Description of the Project: MED-ENEC project was requested to assist in qualifying private Algerian private sector consultants to be able to carry energy audits in the building sector and to train the trainers for providing further national training and follow up. 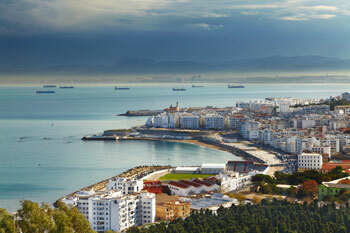 This interest was expressed during the MED-ENEC team visit to Algeria. The purpose of this workshop is to assist in establishing a relevant long term training program to prepare qualified local consultants to carry out energy audits. Creara provided two experts with extensive ongoing experience in energy audits in buildings as lecturers for an applied training course in energy efficiency measures in buildings in Algeria. During this workshop basic concepts of an energy audit can be communicated to practitioners with a good knowledge in engineering subjects. Description of the Project: MED-ENEC in cooperation with UNDP organizes a National Energy Audit Training for Buildings in Egypt to assist in qualifying governmental engineers to be able to carry energy audits in the building sector and to train the trainers for providing further national training and follow up. The need arise from the fact that regulations/incentives will be provided for energy efficiency improvements in buildings focusing on lighting. The purpose of this workshop is to assist in establishing a relevant long term training program to prepare qualified local consultants to carry out energy audits. The workshop delivered by Creara went through topics as general aspects regarding lighting energy, efficient lighting and energy standards and codes, Overview of lighting control systems, case studies to include the most common inefficient lighting systems and their recommended retrofits, recycling of CFLs and economic assessments and calculation tools. Assessment of the state of technology including a brief assessment of recent developments, a quantitative and qualitative assessment of the gap to the technological frontier and an assessment of what percentage of assets is at close to the technology frontier in terms of energy efficiency; in this context, assess market penetration of selected technologies in comparison to regional and international peers and in respect to global best practice. The list of technologies comprised as a minimum: (i) high efficient electric motors, (ii) frequency control drives; (iii) CHP systems (including ORC); (iv) process heat recovery systems; (v) integrated energy efficiency management systems. Preparation of a set of technology based indicators aiming at benchmarking the local industrial companies compared to regional peers and international best practice in the specific industrial sectors. The technology benchmarks refer to e.g. type of processes utilized in the main industrial sectors, age f main equipment, extent of material losses, etc. Description of the Project: IEELA project is a project nationally executed by the Ministry of Electricity and Energy, the objective of which is to facilitate a comprehensive transformation of the Egyptian market towards the use of more energy efficient electrical appliances at a level where cost efficiency is proven. Review the project document and assist the project management in updating and elaborating specific details and issues related to project activities to achieve successful implementation. Meet with project management team, different stakeholders including the officials of Egyptian Electric Holding Company (EEHC) and according to the existing situation: modify project outputs as needed, suggest new relevant activities to achieve project outcomes or remove activities that could have been implemented during the project preparation phase. Ensure that the project outputs comply with the project outcomes, as well as with the priorities of the electricity sector. Provide advice on the required institutional, legal and regulatory changes to support reaching of the stated outcomes of the project and provide other required advice on the successful implementation of the specific project subcomponents and activities by drawing from the international lessons learnt and best practices. Review the existing appliance policies and identify gaps and propose steps towards enforcement of standards and labelling program by taking into account the most recent international developments in this field. Review the existing appliance policies and identify gaps and propose changes by taking into account the most recent international developments in this field. Examined the situation and adoption of Building Energy Efficiency Codes (BEEC) in Egypt through previous research done by the World Bank. Examined sample specifications for Building Management Systems (BMS) used by one leading engineering design company. Interviewed BMS control contractors to understand the application of BMS in the context of Egypt. Assessed a BMS installation at one of the audited buildings. Performed a Walk-Through Audit for two sample buildings in an effort to have a basic understanding of the potential for energy, cost savings and GHG abatement for modern and conventional buildings. Description of the Project: The International Telecommunication Union (ITU) is particularly interested in assisting developing countries use ICTs to abate climate change. The Egyptian Ministry of Communication and Information Technology (MCIT) assumed a leadership role through collaborating and working in the application of modern communication and information technology to raise the efficiency and quality. 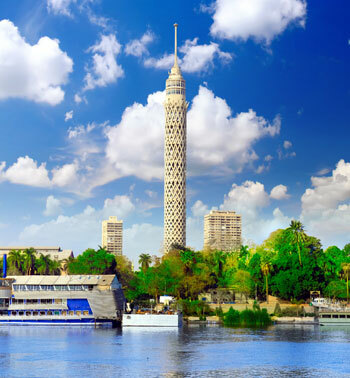 Creara assessed the role of ICTs applications for Energy Efficiency and Green House Gas emission reduction in Egypt with focus on the built environment and the adoption of smart grid technology applications. Creara conducted interviews with some of the Smart Grid applications providers and with officials from the World Bank to get insights about the general acceptance and readiness of such applications in Egypt. To complete the picture, other energy savings and GHG emission projects in Egypt were examined specially those implemented by UNDP and UNIDO.